The initial expectation was that the inspection happened only in the state of Minas Gerais, but the National Mining Agency decided to extend the determination for the entire country. 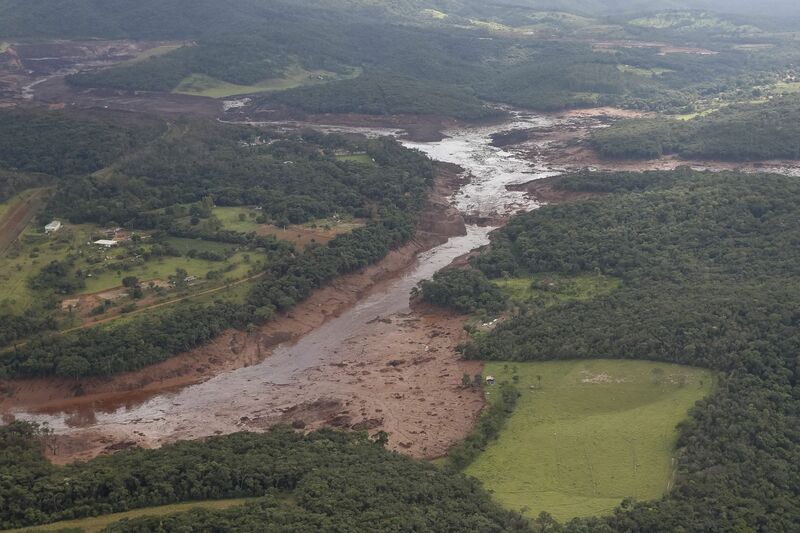 RIO DE JANEIRO, BRAZIL – As the death toll of the Córrego do Feijão (Brumadinho) mine tragedy rises to 134 persons, Brazil’s National Mining Agency (ANM) announced it will start to require daily inspections in upstream dams such as those of Brumadinho and Mariana. According to officials there are still 199 people missing. The Feijão mine in Brumadinho burst on January 25, 2019, burying houses and killing at least 134 people, photo by Isac Nobrega/PR. “We have the feeling that some parameters are not being included for our analysis. For upstream dams, built in the 1970’s, there is something that is occurring and there is something that we are not measuring,” said ANM regional manager Janio Alves Leite in an TV interview to Rede Globo on Monday. “The goal is to try to understand what can be improved, aiming precisely to foresee possible changes in the stability of the structures,” added Leite. The initial expectation was that the inspection happened only in the state of Minas Gerais, where in a little over three years two dams have broken sending thousands of tons of mud into the countryside, burying entire towns, extensively damaging the environment and killing hundreds of people. The agency, however, decided to extend the determination for the entire country. According to officials, mining companies responsible for 88 upstream dams found in Brazil will receive a letter with changes in the rules for disclosing the results of structure inspections. Companies, which reported their inspections results every 15 days, should now release the information about the integrated management and security system of their dams on a daily basis. In Minas Gerais alone, nineteen mining companies have upstream dams similar to those of Córrego do Feijão mine in Brumadinho, which broke on January 25th, and Mariana which erupted in November 2015.Both mines are owned by Vale, one of the world’s largest mining giants. Last week, the state’s Secretariat for Environment and Sustainable Development (Semad) gave mining companies a two-year deadline for all of upstream dam structures to be closed down.